It was November 2010 when the perfect family home presented itself to my husband and I. It was spacious enough for our growing family of seven, in a good neighbourhood, steps to the local public school, and reasonably affordable! And oh, the 3rd floor loft! It would’ve been like having a playroom upstairs for our kids! We hadn’t been house hunting, but after viewing the property, agreed that we’d put in an offer on it. This was just before the great housing bubble in the Greater Toronto Area (GTA). My husband and I agreed to the 60-day closing, although we still had to ready our own house for sale, and offered a quick housing inspection within 48 hours. The seller still wasn’t satisfied that we’d kept in the housing inspection clause, and next asked for a 30-day closing date AND an irrevocable security deposit. (For those unfamiliar with irrevocable deposits, it means that if the deal goes sour, the buyer loses their entire deposit!) Unwilling to take such a big financial risk, we walked away from the house heartbroken. The house was later sold to people who’d waived the house inspection, agreed to a 30-day closing—and paid the seller less than we’d originally offered them. There seemed to be no justice, as after we “lost” the purchase of the family home, housing prices in the GTA began to grow at an exponential rate. It wasn’t long before houses originally priced at $650K ballooned to $850K! This included an identical home on the same street as the one we had bid on, which received multi-offers over the first few days, and sold for well above asking! My husband and I were in disbelief, that simple family homes in the GTA could sell at the same prices that mansions used to! But we didn’t give up: we kept looking through the house listings that our real estate agent e-mailed us; kept prospecting the streets in desirable neighbourhoods, and visited houses of interest with our agent. No matter how hard we tried, we encountered three commonalities in the GTA housing market: the houses available were smallish, these same houses were priced very high, and said houses received multi-offers on the first day of listing the property. My husband and I refused to participate in multi-offer situations, and more importantly, refused to pay an already overinflated price. After all, we already had a great family home purchased 15 years earlier—and at a fantastic price! It didn’t even matter that a neighbour had sold a house identical to our own for $300K more than we’d paid in the late 1990s. The truth became evident: there was just not an appropriate home for us in the current GTA real estate market. Well, not at our price anyway. Fast forward 26-months later, and my husband and I are still hunting for our family home to this day. Although we haven’t found one yet, there’s good news: as of January 2013 there’s been a gradual, but noticeable drop in the GTA housing market prices, compared to prices at the peak of the housing bubble. There also seems to be more “house” for the money now, and a resale home may very well be in reach for my family in 2013. And although it doesn’t seem that 2013 will be the year that the GTA housing bubble bursts, (as prices have not returned to those of November 2010 and prior), prices are definitely levelling out. And this will mean more equal opportunities for both sellers and buyers alike. 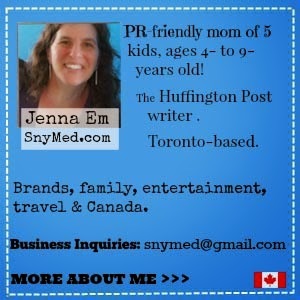 This article was written by me, Jenna Em, and appears in the Wednesday January 9th, 2013 edition of the Huffington Post Canada. Prices have really increased in Regina over the last 5 years. Thankfully we purchased our house before the big jump happened. Cheryl, very good timing on your part! It is amazing how quickly houses sell in Toronto. In our area, there was a huge increase in houses for sale and the majority of them were at horrendous prices for our area. In turn, the ones that got greedy still sitting unsold and the ones that stuck with the average price all sold. We live in a very small town and housing is usually quite average in price, but the new real estate company has tried to inflate things majorly around here. Thankfully they aren't having any luck! I have been looking at houses for 3 years now and yet to find that perfect house!! One day. Christine, all the greedily priced homes are also sitting in the GTA now. There was quite a run in 2012 where these same houses would've sold for well above asking. Remember, you don't have to find 12 houses, just one house to call your own! Good luck to both of us! Prices are getting better in Toronto but I doubt we'll ever be able to afford one in the heart of the city. I'm staying home with the kids until they are old enough and hopefully then I'll go back to work and help contribute to the family home so we can give our kids a great place for lots of space to run around. Mama Ash, a family member sold her Toronto home in the heart of the city for a family home in the GTA. Much more house for the money, but she still paid through the nose. Its really crazy. We bought our first home 13 years ago in the GTA and got over 50% when we sold it 3 years ago! If you step outside the GTA a bit you can get a mansion for a great price :) Thats what we did, tripled our property and house for the same we sold in the GTA. Best of luck with you search! Tammy, that sounds awesome! We do have to stay in Toronto proper or the GTA, as commuting would be impossible otherwise. We have the same problem in Newmarket. We want to move out of our semi-detached (that we MIGHT make $50K on since we bought it)into a fully detached with a bigger yard. There is nothing in the $350K-$500K range worth the money. I just don't understand how so many families with only one adult working are able to afford these $600K+ mortgages. Are they all in huge debt? We have two people working, no kids, no debt, but we still aren't willing to spend that much. Barb, you are right about there not being anything in the range worth the money. I remember when we first purchased our home 15 years ago that you could get a nice GTA mansion for $525K. For $425K you could get an opulent family home. In the mid-to-late 1990s, I remember being shown a home in King City in the $125K price range situated on several acres...this same property has been converted to multi-million dollar mansions. Would you believe that I even saw a Scarborough home during the same time period for $150K? Can you imagine that price now? Gingermommy, country living sounds lovely! Some of the properties we've seen have had backyards only 80' deep! Living in the GTA I feel your pain with house prices. We love our house, but it is unlikely we could afford to move into anything bigger in our neighborhood. We have a pretty crazy housing market here in Calgary. Nice to see the perspective of what is happening in the GTA. Don't even get me started. We bought in Calgary during the boom. So now we are awaiting the next boom to sell. Ah the joys of home ownership! Wow. I remember living in the GTA and how expensive it was. This said, when we sold our house and moved to the countryside, we got a REALLY good price. We live on a 750 acre farm that cost $250K when hubby bought it when he was 26. Prices have doubled since! I remember when my sister was looking at buying in Toronto a few years back..it was INSANE. She ended up renting, but even that was INSANELY priced too. I'm in Regina as well and the boom came, almost overnight, 6 years ago. Prices doubled, literally, in a matter of months and it hasn't stopped. We were incredibly lucky. I had just started dating my now husband at the time and we both owned our own houses. I was able to sell my house (overnight) and make enough to pay off the mortgage on his (which became our) house. We were in our early 30s with a mortgage free home. We are thankful every single day for that luck. If I were a single person now there is no way I could afford to buy that same house now. I don't know how people do it anymore. Shayna, I love your success story! I also wonder how single people, or even couples for that matter, can buy a house in this crazy housing market! A clause insisting on no-home inspection would set all of my alarm bells off, I can't believe anyone would agree to that! Work mentioned wanting to relocate hubby, we were looking at houses in the GTA and I was dumbstruck by the prices. Our spacious if older 5 bedroom 2 bath home in Windsor would resell for under 200,000, which wouldn't buy us a walk-in-closet in the GTA. I'm glad to hear the prices may be heading on a downward swing. Thanks for linking up with the Canucks Rock weekend linky. Thanks for hosting the Canucks Rocks weekend linky...looking forward to linking up again this weekend! Prices are starting to get ridiculous!